It’s important to ensure that your financial planner has taken time to understand your needs, goals and preferences before they make any recommendations. 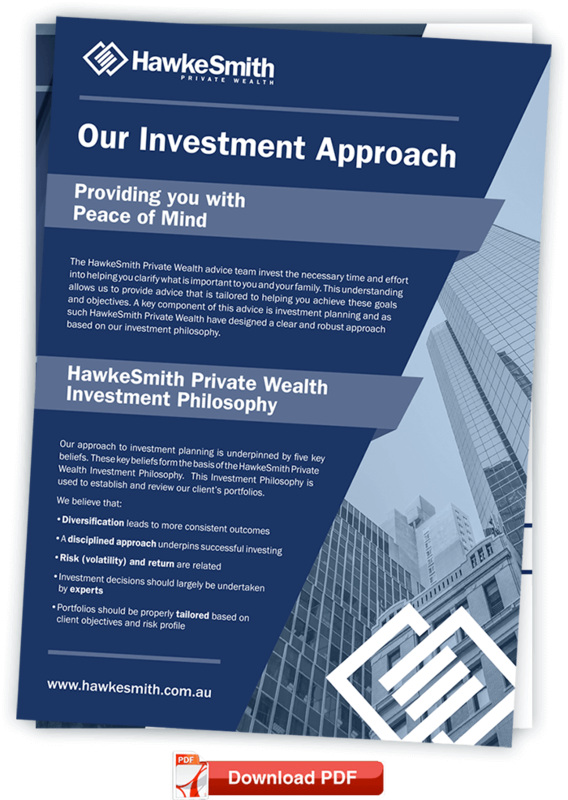 HawkeSmith Private Wealth will clearly explain and document the services that we will provide to you during the financial planning engagement. We will explain fully how we will be paid and by whom. We will agree on how long the professional relationship should last and on how decisions will be made. HawkeSmith Private Wealth will ask for information about your financial situation. You and the planner will mutually define your personal and financial goals, understand your time frame for results and discuss, if relevant, how you feel about risk. HawkeSmith Private Wealth gather all the necessary documents before giving you the advice you need. HawkeSmith Private Wealth will analyse your information to assess your current situation and determine what you must do to meet your goals. Depending on what services you have asked for, this could include analysing your assets, liabilities and cash flow, current insurance coverage, investments or tax strategies. HawkeSmith Private Wealth will offer financial planning recommendations that address your goals, based on the information you provide. The planner will go over the recommendations with you to help you understand them so that you can make informed decisions. The planner will listen to your concerns and revise the recommendations as appropriate. You and the financial planner will agree on how the recommendations will be carried out. The planner may carry out the recommendations or serve as your coach, coordinating the process with you and other professionals such as attorneys, accountants or stockbrokers. You and the financial planner should agree on who will monitor your progress towards your goals. If the planner is in charge of the process, he or she will report to you periodically to review your situation and adjust the recommendations, if needed, as your life changes.